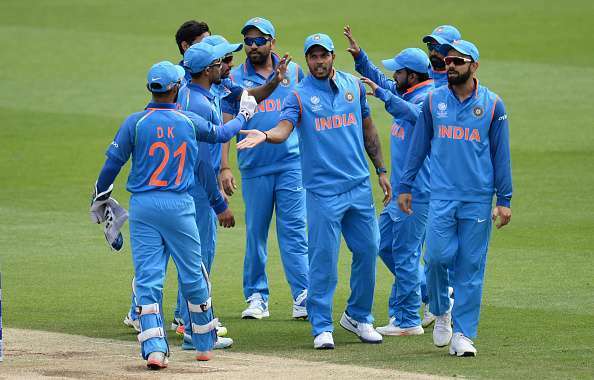 Barring a few roadblocks, India have performed well in ICC events over the years with a lot of players emerging on the scene in these major tournaments. Along with the 50 over and the 20 over World Cup, there is Champions Trophy which is fought between the top eight teams in the world and is also known as the mini World Cup. Playing the World Cup for one's country is the ultimate aim of a cricketer but representing the country in Champions Trophy is also no mean feat. The world has seen many formidable teams from India competing in both these tournaments but there are some individuals who have not had the luck to play in both these elite tournament. Here is a list of the 5 Indian players who have represented the Blues in the World Cup but not in the Champions Trophy in their respective careers. The Haryana-born pacer emerged on the scene five years ago and made a name for himself in his first ever IPL. He took 15 wickets in his first T20 competition and in 2013, he made his India debut. Sharma returned with figures of 26/2 in his first one-day game against Zimbabwe and soon became a regular. The last Champions Trophy (2013, England) came a little early for him, however, he was selected in the squad for the 2015 World Cup. Sharma sizzled in the first game of the World Cup where he took 35/2 against Pakistan. He again took two important wickets of Amla and Du Plessis in the match against Proteas and finished with 31/2. The pacer took nine more wickets in the remaining games with his best spell coming against Zimbabwe where he took 3 wickets for 48 runs. After the World Cup, Sharma struggled with inconsistency which saw him being dropped out of the team and eventually, after a disastrous IPL 2017, he was not selected for the CT 2017.